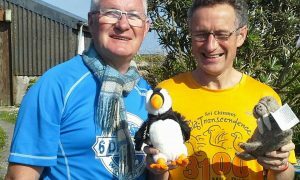 Topping off a big week for Scotland, it was in London itself where an unprecedented victory for Scotland unfolded over the weekend at the Self-Transcendence 24 Hour Race at Tooting Bec. For the first time in the events history – founded in 1989, the race was won by a woman. 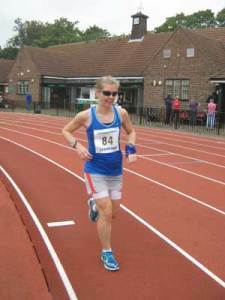 Not only did Fiona Ross set a new women’s course record but the top three runners were all women and all qualified for the National 24 Hour Team. From the start the full field was led through the first hour by Johnathan Errington who was soon overtaken by Vegan runner Max Newton who led until around the 9 hour point when Irish Marathon Man Brian Ankers assumed the lead and Fiona moved into third place. By 10 hours Fiona edged into 2nd place and by 12 hours had established a two mile lead while the top 6 men were all within 4 miles of each other. Isobel Wykes and Noanie Heffron were in 5th and 6th places overall gradually moving through the ranks. By 15 hours Fionna led Isobel with Brian Ankers holding off Noanie by a slim margin in fourth place. 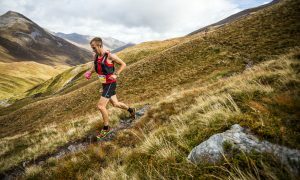 By 18 hours the top four places were nailed down though Michal Masnik, the leading man in his first ultra race, was close to Noanie until the final hours when she pulled away clear of any threat Michal could mount on their grasp of the podium places. However the battle for second and third place in the mens race continued until the final hour when Simon Smith, also in his first 24 hour overtook Richard Kimmens. Kimmens improved on his debut at the distance here last year with a new total of 121 miles. Perhaps an equally outstanding performance came from 81 year old Geoff Oliver. Having run this race many times, Geoff is a familiar sight and for quite a years now has been setting age group records and this year according to Time Keeper Tarit Adrian Stott set 8 new records though he missed completing the 100 miles within the 24 hours by a whisker he carried on for another lap and a half to set a yet another bench mark. At the awards ceremony Geoff paid tribute to the race organisers and to the memory of the race founder Ongkar Tony Smith. The weather conditions were great though they were cloudy on the Saturday afternoon and there was a light drizzle for an hour or two but after that, things were fine and no doubt contributed to the excellent performances by so many runners 22 runners over 100 miles. Provisional results not including totals of runners who officially withdrew.